The President of the Republic addressed a congratulatory message to the towns of Idanha-a-Nova and Óbidos for having been included today in the list of UNESCO Creative Cities. “I was overjoyed when I received the news of the inclusion by UNESCO of the towns of Idanha-a-Nova and Óbidos in its list of Creative Cities, the first as a Creative City of Music and the second as a Creative City of Literary Life. When including these two towns amongst the cities that are distinguished worldwide by their creativity in the various areas of culture, UNESCO is rewarding not just the intrinsic value of the heritage and the cultural activities periodically promoted by Idanha-a-Nova and Óbidos, but also the work and the drive of their inhabitants, particularly their local authorities, in the defence of their identity. The people of these towns are to be congratulated too, as well as all those who somehow contributed towards the success of their candidacies, especially those who, throughout their lives, have invested in cultural activities where innovation is combined with allegiance to their sources and erudite culture is allied to local traditions. With the success of these candidacies, the tangible and intangible assets of Idanha-a-Nova and Óbidos will surely gain further prominence, both internally and abroad, thus consecrating the vision and the consistency of the stakes placed by the local sponsors on behalf of their communities. 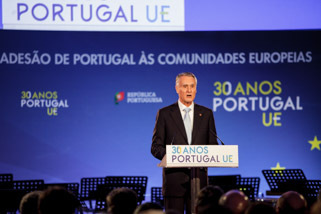 I thus greet all who somehow, throughout the whole of the Country, as shown by the successive awards attributed by UNESCO to Portuguese sites and assets, continue working for the preservation and promotion of our Country’s inestimable cultural heritage, for the greater benefit of the people and of those who visit them.